This article will go over how to view the pictures the driver took while setting up the order and the signature of the client. Remember the pictures were taken via the CaterZen Driver App. 1 - Click on the Order Id (either via the Overview page - Calendar - under the Client's CRM Record). This article will show via the CRM Record - Click on the CRM tab - Search for the customer and then click on the customer's name. 2 - Once you click on the customer's name you will then click on the Orders icon. Locate the order and then click on the View/Edit Order Icon. 3 - Once you click on the Order Id any pictures that the driver took will appear at the top of the Order Details page. 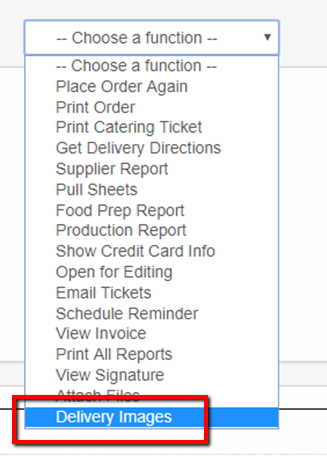 4 -You can also use the Choose a Function drop down box and click on the Delivery Images link. 5 - Once you click on the Delivery Images link a page will appear with just the images. 6 - If you scroll down on the Order Details page you will then see the signature of the customer. 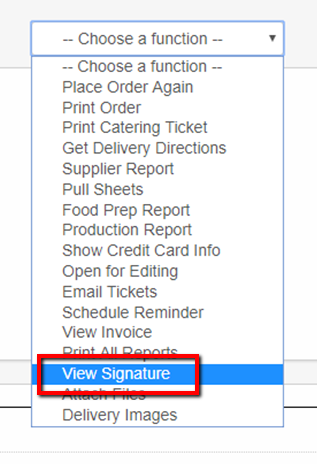 7 - You can also use the Choose a Function drop down box and click on the View Signature link. 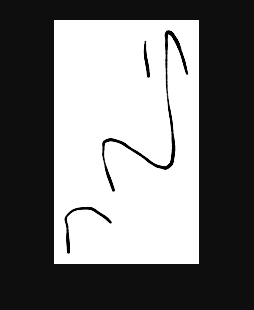 8 - The next page will show the Signature only. 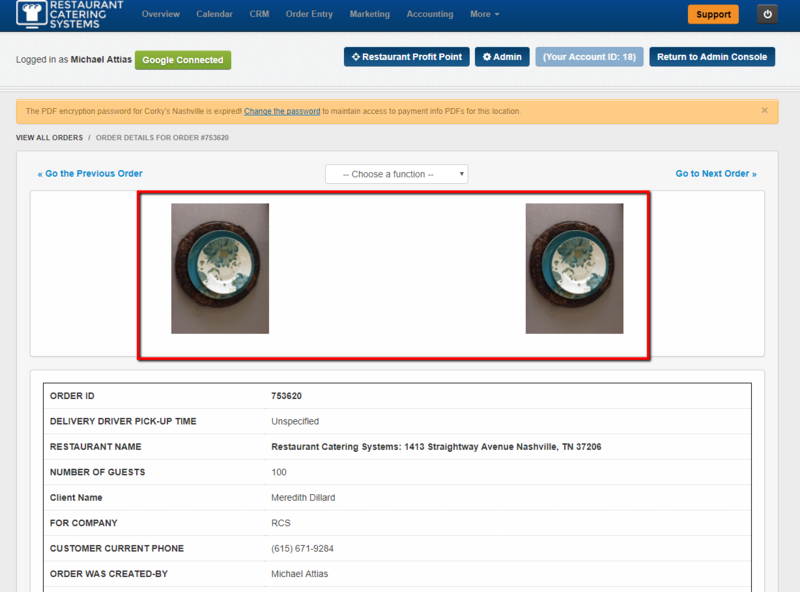 You have now learned how to view the Images that the driver took while setting up the delivery and how to view the Signature from the customer.